The government is to pay for new mobile MRI scanners in a bid to cut NHS waiting times in England. The machines will be used to carry out an extra 80,000 scans a year, boosting NHS capacity by 10%. 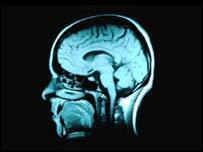 MRI scans are used to diagnose a range of medical problems, including cancer, heart disease and epilepsy. Health Secretary John Reid has invited bids from the private sector to supply the new machines and staff to operate them from this summer. A report published in 2002 found over half a million people were waiting in England and Wales for a MRI scan. The Audit Commission said a lack of machines and staff was to blame. Last year, the Royal College of Radiologists warned that cancer patients were dying unnecessarily partly because of a shortage of MRI scanners. Mr Reid said extra money has been made available to tackle the problem. However, he acknowledged that some problems still exist. "Significant investments in MRI and other techniques have already made strong headway, but waiting lists remain across England for this key diagnostic procedure and we need to do more to improve this situation. "Supplying the NHS with new, mobile, 'state of the art' MRI scanners and highly qualified staff will help cut waiting times across England," he said. "This will ensure more NHS patients get access to important early diagnosis and therefore better prospects for successful treatment. "Mobile solutions will ensure we reach NHS patients in the areas of greatest need, and provide greater access to important diagnostic tests. "The independent sector will provide additional staff to ease pressure on existing NHS diagnostic teams and a fast track procurement process will ensure that the NHS and patients get early access to this additional diagnostic capacity." Dr Paul Dubbins of the Royal College of Radiologists welcomed the move. However, he said: "It is a step in the right direction. But the problems are not just with a lack of equipment but also with a lack of staff. "Who is going to operate the scanners and who is going to read the scans? "We have a serious shortage of radiologists across the country." Tim Yeo, Shadow Secretary of State for Health and Education, said: "As a result of the shortages of MRI scanners and staff, patients in some areas of the country been forced to wait up to 18 months for routine scans and in some cases cancer patients have died. "If the Department of Health had extended this invitation earlier, they would not have let down so many patients."